Love is in the air as the most romantic day of the year is right around the corner. Many people look forward to Valentine’s Day as a time to show that special someone how much they care about them. For that reason, this edition of blog post reviews showcases some of the latest r&b releases containing the newest music in the r&b world to aid you in creating that lovely evening you have planned for you and your significant other. First up is DJ Jerzeyboy who always manages to have some of the nicest cover artwork on his titles. 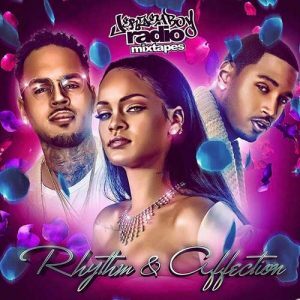 Start off your Valentine’s celebrations with his latest release labeled “Rhythm & Affection”. Popular main stream music artists making the cut for this product include Chris Brown, Usher, Nitason, Trey Songz, Alicia Keys, Jason Daxon, Young Mont, Rick Ross, Kodie Shane, Rihanna, Fetty Wap, James Fautleroy, T.I., Kehlani, Charlie Wilson, Gucci Mane, Natasha Mosley, Hi-Five, and other recording acts on this 23-track drop. 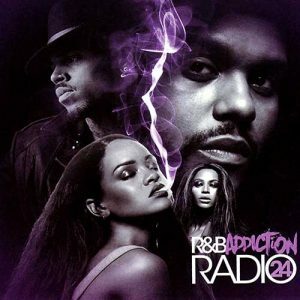 Next, on this posting of music for February 14th is a release from The Empire’s franchise called “R&B Addiction Radio”. These products always give you the hottest tracks currently out, so you always have the hottest playlists at your fingertips. Number 24 contains new songs by Beyonce, Khaled, PARTYNEXTDOOR, August Alsina, Polow Da Don, Summerella, Jacquees, Tinashe, Bibi Bourelly, Dreezy, Jacquees, Swift, John Legend, Chance The Rapper, The Weeknd, Usher, Chocolate Droppa, Young Thug, and much more. DJ Scratchez, who hails from Canada, brings the internet part 8 of the “Triple X RNB” series. Sub-titled “Classics Diamond Cuttz”, this is a throwback edition of the collection. Anyone looking for r&b from the 90’s, this is what you would want to check out. Industry artists appearing on this release include Mya, 112, Tevin Campbell, Nelly, Boyz II Men, Janet Jackson, Fabolous, Total, Soul For Real, Mase, Ginuwine, H-Town, Babyface, Dru Hill, D’Angelo, Keith Sweat, Jodeci, Sisqo, LSG, Shai, and the list of vintage hit artists goes on. 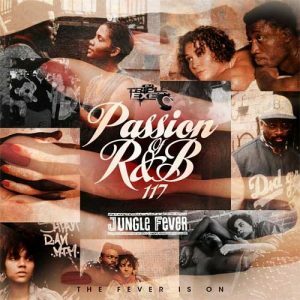 DJ Triple Exe returns to the scene with #117 in the long running series called “The Passion Of R&B”. He has lately been sub-titling these releases with romance movie names from the 90’s and this one is given the “Jungle Fever” film title. Look for tracks on this installment by Ashanti, DJ Luke Nasty, 2 Chainz, Kiiara, Lil Wayne, PnB Rock, A Boogie Wit Da Hoodie, Teyana Taylor, Tink, Robin Thicke, Juicy J, Drake, Tory Lanez, Static Major, Papoose, Twelve, Keke Palmer, Remy Ma, Ray J, John Legend, and others on this all-star lineup of current musical acts. Finally, DJ Cortez and DJ S.R. collaborate on #5 of the “Love and RnB” collection. Singer-songwriter’s making the cut for this volume are Wizkid, YFN Lucci, TeeFlii, Nicki Minaj, Sevyn Streeter, Jacob Latimore, Sammie, Devon, Bryson Tiller, Bobby V, Lloyd, Kevin McCall, MikeAngel, Siya, Lyrica Anderson, and others. Check out the other volumes in this series by using the suggested function while browsing that page. That does it for this review of just a few r&b products to keep an out eye for on the site. When you are picking up those roses and chocolates, please keep us in mind to help set the mood for this special occasion. The site is mobile compatible, so you can load it up and plug in your portable device wherever you see fit to start the night off.